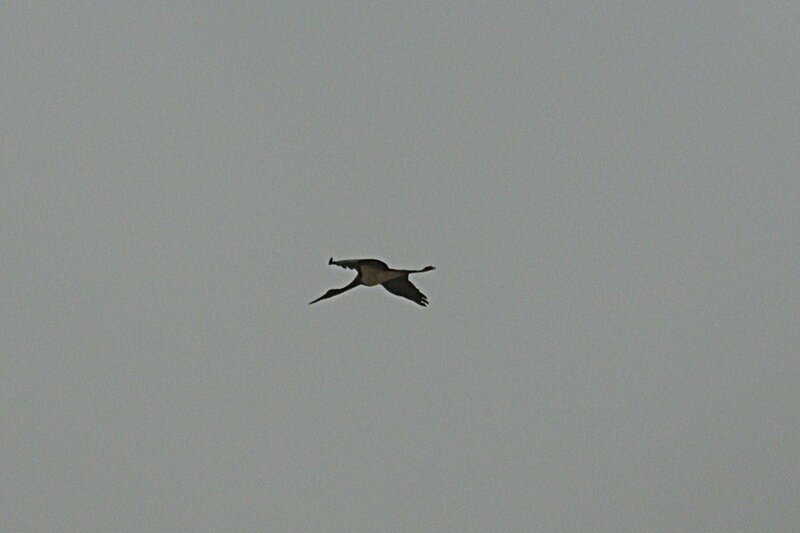 Yesterday whilst birding the ‘patch’ I found an immature Black Stork flying over the percolation pond, which is the second Black Stork I have found at the same site in just over a year. The day had been a windy one with plenty of dust in the air just like the last time I saw an immature Black Stork in the same place on 4th May 2011. This time I did not see the bird on the ground, just in flight, and the bird flew off over the back of the camp and did not land before it was out of sight. 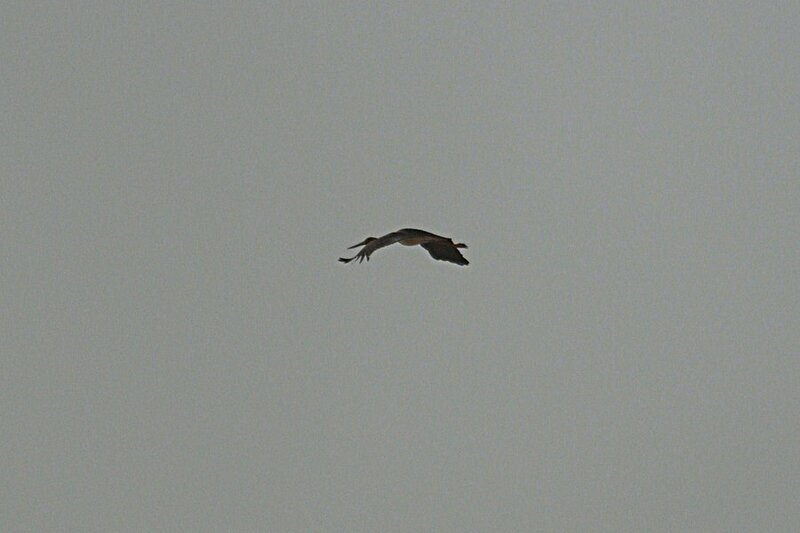 I did manage to get a couple of very poor shots but you can make out it is a Black Stork at least. Black Stork is a rare bird in the Eastern Province of Saudi Arabia with The Birds of the Eastern Province of Saudi Arabia by Bundy, Connor & Harrison (published in August 1989) only having five records of six birds. There are at least two more records for the Eastern Province both of which occurred in the same place as this record, one in spring 2009 and one I found last year on 4th May. This is another example of how dust storms can bring down migrants in the most unlikely places. Those wings are just amazing! I'm interested in the birds too. Sometimes in my blog I present the birds living in Europe... Beautiful pictures!